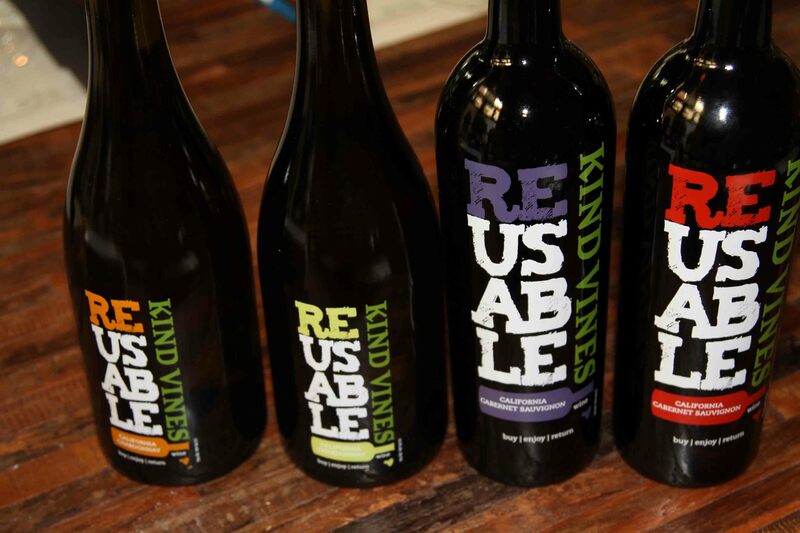 participate in a market research wine tasting for a brand new and as of yet unreleased wine label called “Kind Vines”. 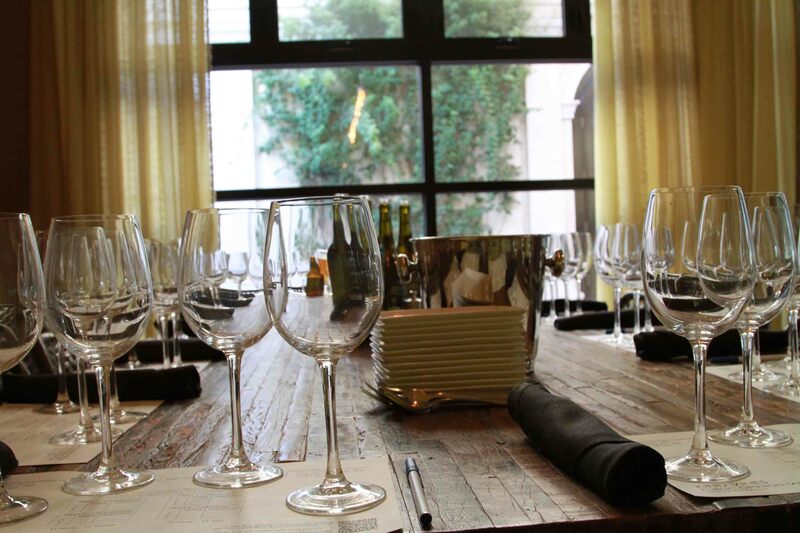 The wine tasting was held in the private dining room at the True Food Kitchen located in Phoenix’s upscale Biltmore Fashion Park. Food Kitchen is a room adjacent to the main dining area. 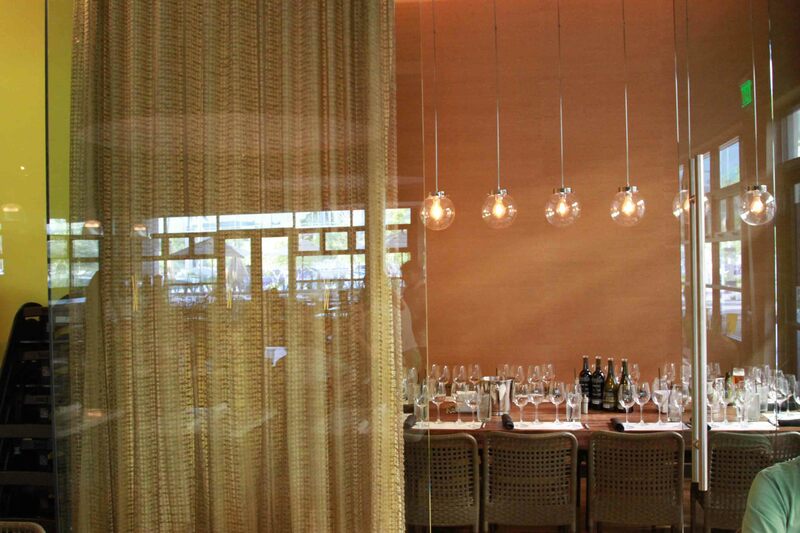 It is separated by glass walls and a large Euro styled glass door, as in a large frameless sliding glass door. There is a large rectangular wooden table in the center of the room and hanging above the table are some large glass lights. 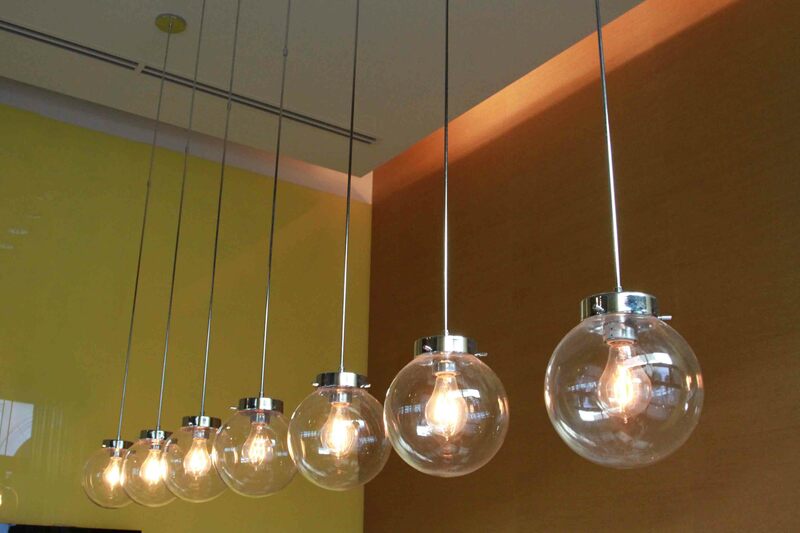 The lights are in a row and resemble a Newton’s cradle. The room is light and airy with very high ceilings and a large window that looks outside. True Food Kitchen opened in 2008 and is a partnership between Fox Restaurant Concepts and best selling author Dr. Andrew Weil. Kind Vines is the brainchild of David Williamson. David has two decades experience working in many of the major liquor distributors. Part of his job was to always be looking out for ways to save money. He eventually came to the conclusion that shipping wine in glass bottles is expensive and not very good for the environment. He noticed that bottles account for 50% of the shipping weight and volume. Secondly, David sites an EPA MSW report from 2008 which states that nearly 3 billion wine bottles end up in landfills every year. with a very different business model. So far the company only has plans for Arizona, but this idea could be adopted for other states. The basic idea is that the wine would be shipped in bulk to the Kind Vines facility in Flagstaff. From there it would be bottled and distributed. The really exciting part about this company is their wine bottles. They are 100% recyclable. How is that?? Well first, the label is not made of paper, its painted on and then baked on. Secondly, instead of a cork, there is a glass stopper with a rubber gasket. Thirdly, you pay a $2 or $3 deposit on each bottle and when you return the bottle to the store, you get a $2 or $3 discount off your next bottle of Kind Vines. With David’s background in liquor distribution he was able to see that using beer distributors to distribute his wine was the way to go. Why? Because beer distributors have the network in place to not only deliver product but bring back the empty kegs and wine bottles. The wine bottles are collected and washed and sanitized and refilled with wine. So far this company is in the very early stages of planning. Right now David and his team are determining which wines to buy. Part one of this selection process involved selecting members of the media and community and having them sit down and taste the wines and give their feed back. Kind Vines is going to have a two tiered approach to wine. Tier 1 is what we tasted and would be their more economical line of wines, typically retailing for under $10 including the deposit. We tasted wines from Red Hills Lake County, Napa Valley and Paso Robles. I found the wines to be interesting enough for that price point, though some did stand out as a little more exceptional than others. Part 2, the part where people choose the upscale tier number two wines will be where it gets interesting. If David can get himself some bulk juice from some premium producers he might just have a winner.